The CSCS test is nothing, but a basic knowledge test of health and safety procedures, which are important to work on a construction site. It means without danger and harm to oneself. Once passing in the CSCS test enables you to be valid for the CSCS card. This is what you require to get allowed in construction sites. The test is considerably fair and straight forward and can be taken at any locations all above UK. You can book the test online as it is quite simple to go for. When you book your test, then you will be given certain choices of test times, test venues and even your comfortable language. These CSCS test is completely on multiple choices and on general knowledge. 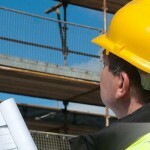 If you possess a good knowledge and I.Q then surely the CSCS card will be in your hands for the right job. Feel better to find out how to book for the test through website all round the clock.